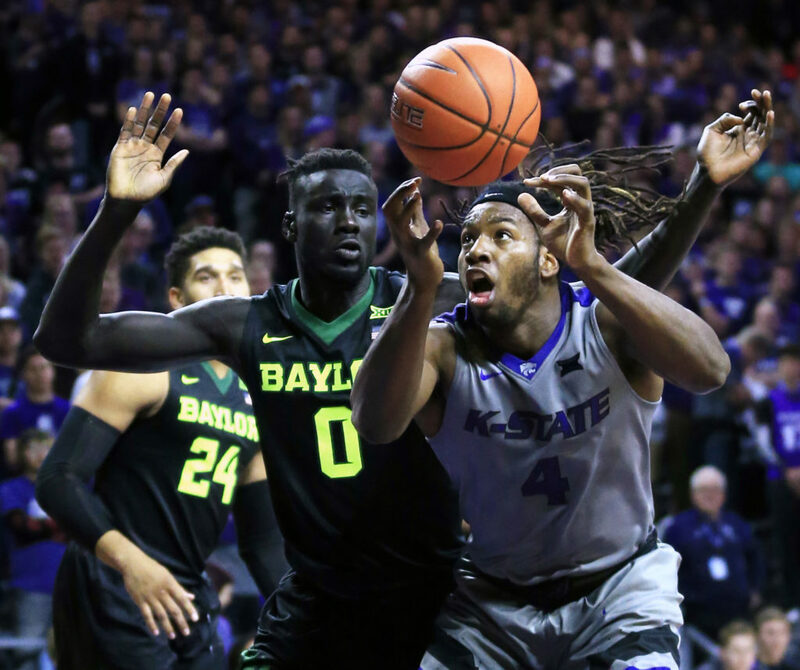 Despite recent heartbreak in Lawrence and then in Lubbock, the K-State men’s basketball team went into Saturday’s contest against Baylor with a little bit of historical swagger. Since 2010, three teams ranked No. 1 in the country had fallen in Bramlage Coliseum, but a strong and consistent second half by Baylor made sure it wouldn’t be four straight. The Bears defeated No. 25 K-State 77-68. The Wildcats (13-4, 2-3) trailed by just a point at halftime and took a two-point lead with 10 minutes to play after a corner 3-pointer by freshman Xavier Sneed. Weber called a timeout, Bramlage went crazy and it seemed the Wildcats had borrowed some momentum. Then Baylor (16-1, 4-1) went on a 8-0 run in two minutes. The Wildcats struggled to recapture the spark of Sneed’s trey the rest of the way. “It was just to give us some rest,” Weber said when asked about his timeout following Sneed’s lead-taking 3-pointer. “We have had trouble defending in second halves, and I wanted to make sure we had legs. I guess that was a change in momentum for them, so you can put that on me. K-State was led by Johnson, a senior, with 20 points, while fellow senior Wesley Iwundu posted 13. Sneed added 12 and sophomore Barry Brown was the other Wildcat in double-figures with 10. Sophomore Dean Wade, who went into Saturday’s game averaging 10.6 points per game, scored five points and had two rebounds for KSU. Freshman Isiah Maurice played 12 minutes, scored a basket and joined Brown and Iwundu in leading K-State with five rebounds. Bears junior point guard Manu Lecomte — who had three fouls and just eight points at the break — led the game with 26 points. He was followed by senior Ishmail Wainright and junior Al Freeman with 15 points apiece. News director, morning show anchor and In Focus host. Former newspaper writer, news and sports. California born, Kansas raised. 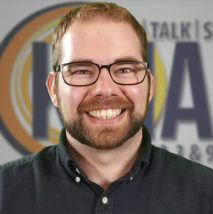 Questions, news tips can be sent to brady@1350kman.com.